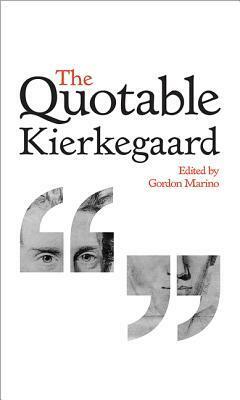 It's a very handy book to cut the chase and understand Kierkegaard in a short time He can be quite deep and gloomy at times. Best read together with a very dark cup of coffee. Good selection of quotes and immensely readable and useful as a quick reference. For real understanding though, nothing replaces the texts in their entirety. The introduction is interesting but not essential; the short biographical note included after the introduction is a great, concise life of Kierkegaard.